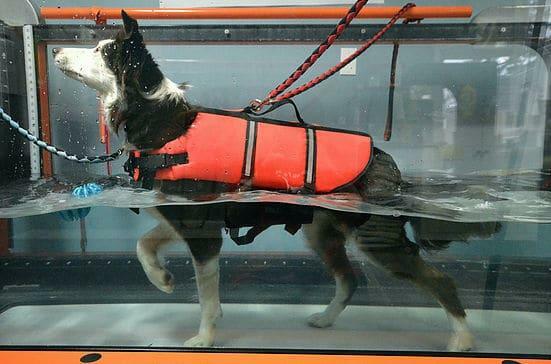 A low-impact workout with the use of an underwater treadmill/aqua tank. Increases muscle strength and cardiovascular functionality. Patients suffering from osteoarthritis, recovering from orthopedic surgery, and those with neurological conditions. Pets with behavioural problems. Issues such as fear, dominance, and excess energy can be re-directed and channeled by using physical and mental stimulation.